Some skeptics think IT certifications aren't worth the paper they're printed on. But in reality, some certifications actually help to create massive partner and customer ecosystems. Skeptical? Consider the situation at Red Hat, which has certified nearly 40,000 professionals on Red Hat Enterprise Linux. Here's the scoop from The VAR Guy. Of course, many aspiring open source pros earn vendor-neutral certifications from CompTIA (Linux+) and the Linux Professional Institute. But Red Hat proves there’s demand for vendor-centric Linux certifications as well. Launched in 1999, the RHCE [Red Hat Certified Engineer] certification is one of the largest performance-based Linux certification programs. Now a decade old, the RHCE program has certified nearly 38,000 channel partners and customers worldwide. The VAR Guy isn’t suggesting that all of those certified folks are true Linux experts. But certainly, many of those certified pros helped Red Hat to emerge as the Linux market leader. Sure, vendor certification is nothing new. Novell pioneered it in the late 1980s and early 1990s with NetWare certified pros. Microsoft and Cisco perfected certification in the late 1990s. And now open source companies — from Digium to SugarCRM — are striving to add their own twist on certification. Oh, and don’t forget about Red Hat’s next certification move: The company’s fastest-growing business is JBoss middleware. 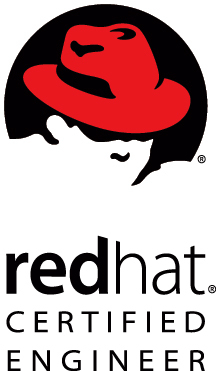 You can bet Red Hat will offer certification strategy updates during JBoss World (Sept. 1-4, Chicago). In the meantime, Red Hat is rapidly marching toward 40,000 Red Hat Linux certified pros. The VAR Guy wonders: How many people are certified on Novell’s SUSE Linux? Hmmm. He needs to find an answer on that. And what about Ubuntu Linux? Canonical is just getting started with that effort. If each one babysits 100 servers that’s 4 million servers. If each one installs a server 200 days a year that’s 8 million servers. If each one clones 20 servers a day for 200 days that’s 160 million servers. Next we will have them mass-producing virtual desktops. Those guys/gals could change the world. Good for RedHat and FLOSS. Robert: You’re starting to write and think like The VAR Guy. You should blog — though not in the third person. I think that mass-producing virtual desktops is the way we should change the world. I did it on a small scale once. I had built a system on-time (almost) and under budget, but through a series of unavoidable delays, it was the night before production and I had no user accounts. In 20 minutes I had a script working and in 5 minutes of running it I had 700 user accounts. I printed username/password pairs on tear-off tickets and distributed them to managers the next day. It felt good. One of my ideas for retirement is to become a VAR. I could be too busy to blog. I had a great day today. Word came down from high places that the 25 year old building in which I work and in which layers of ad-hoc cabling had been done will be done over properly in CAT-6 with VOIP stuff and lots of drops. The possibilities for virtual desktops just increased! There will be at least a few days of downtime for the whole system and plenty of time to install a 64bit OS on the servers. We will do our part to boost the GDP of the IT world.